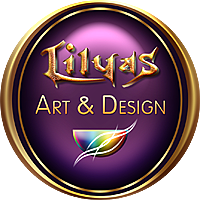 This is the first edition of Lilyas' Chromatic Deck. 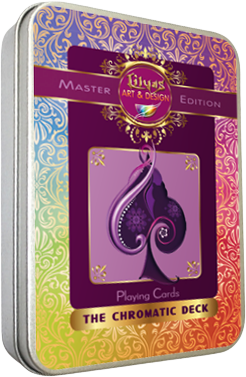 It features a completely custom deck of cards including court cards, number cards, Jokers, ad card and back. The originality in this set consists in the extraordinary coloring of the suits. 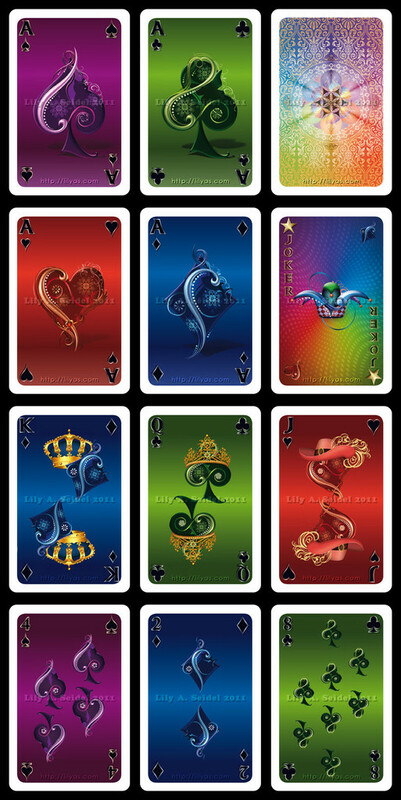 Every suit has and its own special color and matching vector designs on all cards. 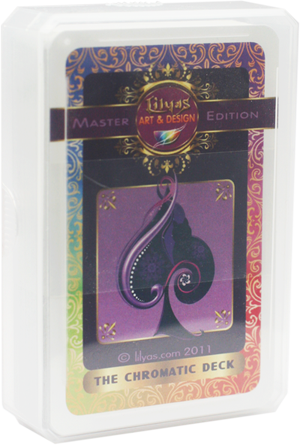 The deck comes in two different packagings - a simple see-through plastic box and a labeled metal box. 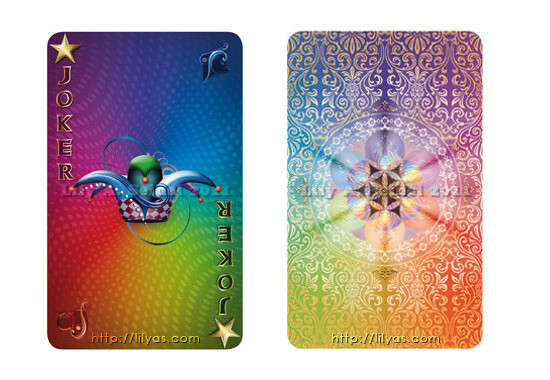 The cards have a very delicate back design (without any lettering) that features a mandala-like center and a polychrome gradient in all colors of the suits. The ad card also features this pattern in the background and comes in the same design as the packaging. There are two jokers in the set. As well as the other court cards they feature some kind of headpiece to denote the usual figures. 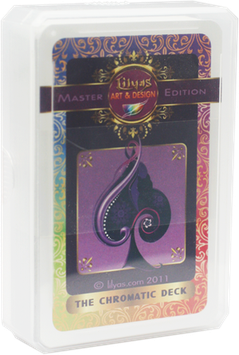 The Chromatic Deck is an ideal item for card players, collectors and fans. This is exactly the same deck. The only difference is the packaging. This version comes in a regular plastic box. 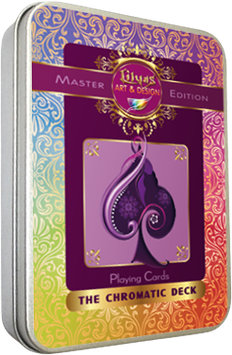 If you purchased this deck and want to leave feedback or you have a question you can make a comment here. Thank you.